I wanted to send a quick note to thank you for mentioning our company on your blog. 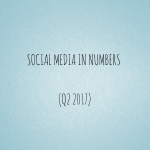 Looking for some social media stats to use for your strategy or in your next presentation? You will find what you need in the list below — updated to March 2017. Today, I would like to share the names of nine people with you. They have all featured me on their blogs. 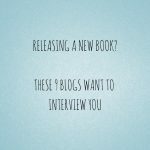 I recommend that you check them out, as they are actively looking for authors to interview. If you have followed me for a while, you know how much I love Twitter. However, for the last year or so, I have been a lot more active on Instagram. It is a better promotional platform for my images. 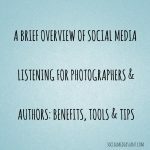 Plus, fellow photographers are more engaging there. Unfortunately, I also feel like saying: “Houston, we have a problem.” There are so many spammers, bot accounts and trolls that it’s not even funny. Some days, it is even worse than YouTube. Looking for some social media stats to use for your strategy or in your next presentation? You will find what you need in the list below — updated to June 2016. When I opened my first blog in January 2005, my goal was just to share my poetry with the world. In more than a decade, my main focus has obviously changed. But I have learnt many things along the way. 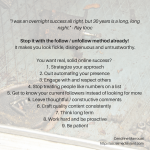 Today, I would like to share five very important tips with you. Last month, Prince died at the age of 57. As always, brands quickly took to Twitter to honor the memory of the music legend.